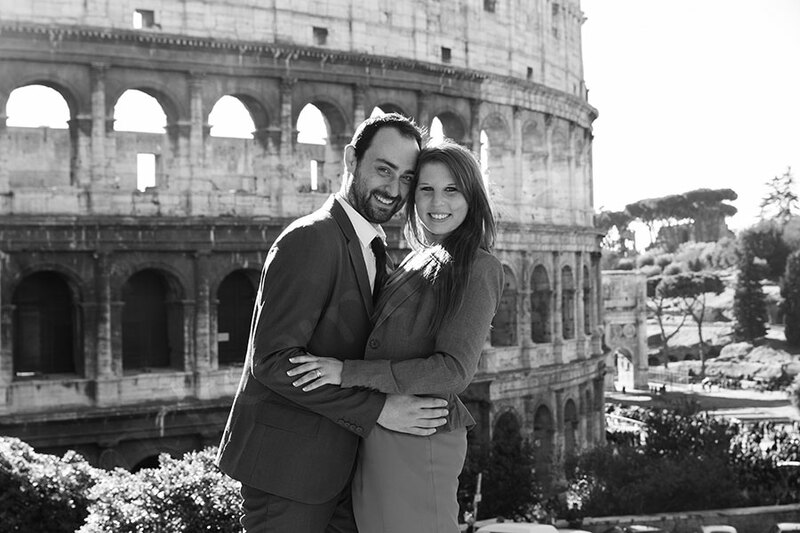 What a beautiful December day in Rome for an engagement session aided by the trustworthy wheretorome car driver service. 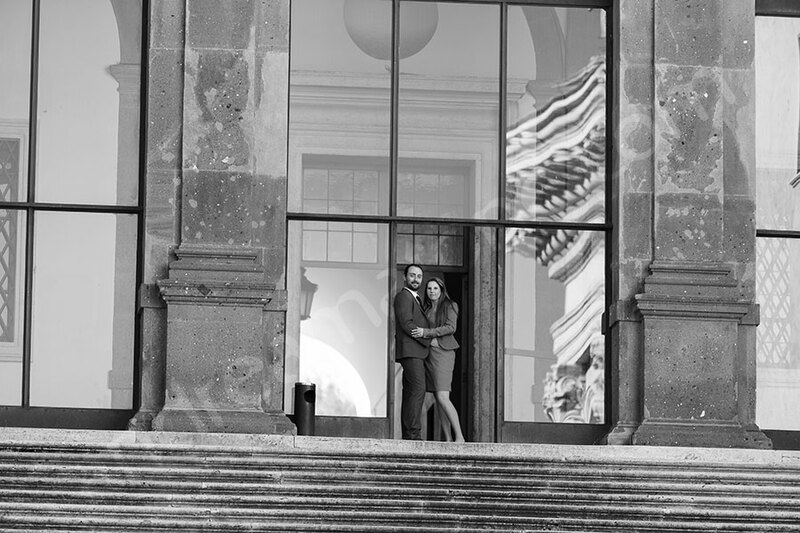 It all started at Gianicolo with an initial session by the water fountain with a sweeping view over the roman rooftops. We then went bridge hopping to get different views of the city. The day was stunningly beautiful but it was cold! Castel Sant’Angelo was a must stop followed by Saint Peter’s square in the Vatican side of Rome. 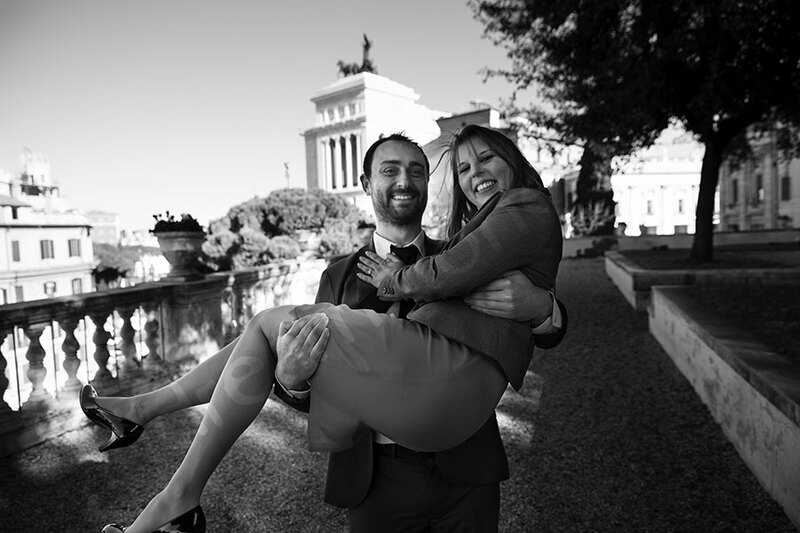 With the car it was quick and easy to reach the Roman Forum up on Piazza del Campidoglio where we continued with our photographer session. Piazza Venezia was next and the monument Vittoriano Altare della Partia. A bright red Ferrari caught our attention parked in front of the Roman Colosseum and we had to pull over! 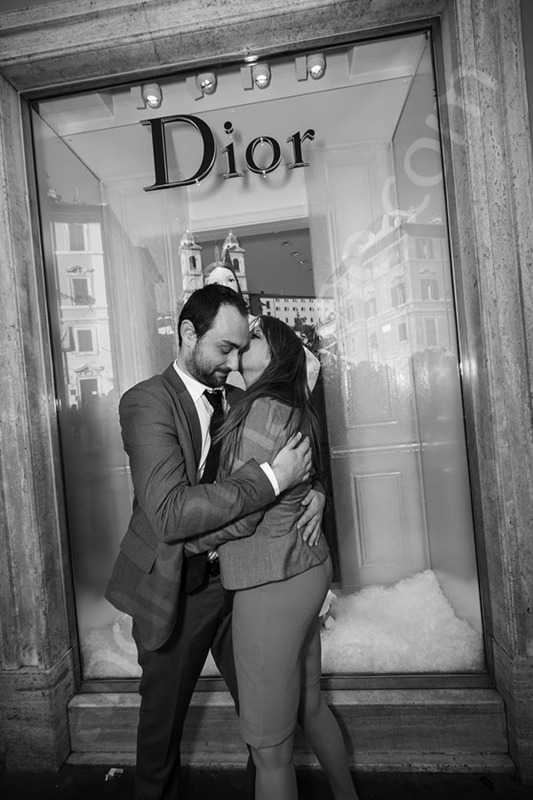 By midday we left the Roman Coliseum for the Trevi fountain and the Spanish steps where we ended the tour down by the water fountain and the Dior showcase on via Condotti. All the best to you! An Italian engagement session together with a fun and creative couple on a car ride around the city. Looking for great pictures to take from the Gianicolo water fountain all the way to the Spanish steps. Thank you soooo much for an amazing experience and the beautiful pictures! We couldn’t be happier!